Many people travel to the Yukon for the outdoor adventure, the chance to see amazing wildlife up close, and perhaps the opportunity to strike it rich panning for gold. 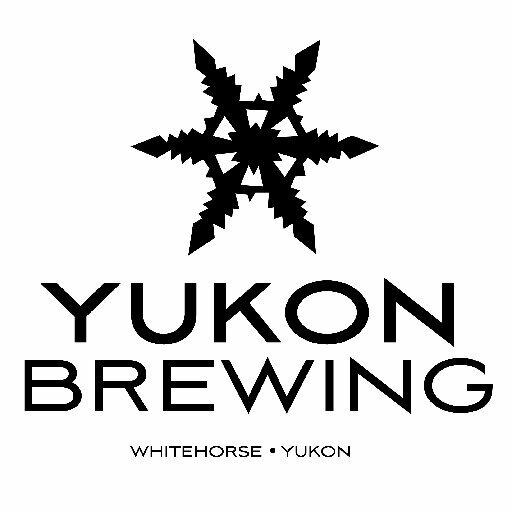 Few go up there to try one of Canada’s most northern microbrews; Yukon Brewing. Thankfully their beer is so good it’s available at most liquor stores in Alberta and British Columbia. But if you really want the full experience you’ll have to go to a local pub in The Yukon. Brought to the Yukon for the many job opportunities, Ontarians Alan and Bob started the company as Chilkoot Brewing Co in 1997. Today they are proud to serve a growing local economy, promoting quality craft beer in the territory and jobs for locals. Along those lines they are adamant supporters of recycling other brands bottles and even go as far as taking their used grain and giving it to local farmers. Let’s take a look at a few of their famous craft beers. Chilkoot is their basic lager that tackles the problem so many commercially available lagers have: that nasty chemical taste. This beer is that go-to standard for just about every situation. It’s clean, refreshing, smooth and predictable. Local rave about how predictable it is, that each bottle will be remembered as fondly as the last. The name is a homage to the Chilkoot Trail from Skagway Alaska down to the Yukon, famously used during the Yukon Gold Rush Days. It’s a great pair with home cooked proteins like lamb, pork and beef as well as typical bar food like wings and burgers. Unfortunately though it is a local favorite and rarely available outside the territory. Yukon Red is a bit of a puzzling amber ale. Yukon Brewing Co. has deemed it one of their flagship brands but recognizes its unique flavour as a red is not for everyone. Amber reds are one of my favorite beers so I am anxious to try this beer which is available in bottles throughout British Columbia and Alberta. Although you may want to go visit the brewery or a Yukon pub to take advantage of this craft beers legendary mousse. Fruity craft beers are often mistaken as simply sweet. The Yukon Red is fruity but perplexingly strong, not sweet and has a sharp bitter. I challenge you to find the perfect food to pair with this gorgeous red; maybe some seafood pasta or roasted lamb will do the trick. Longest Night is a craft beer that tries to capture the essence of the brands slogan: “beer worth freezing for.” This Cascadian Dark Ale doesn’t look the part. Perhaps the dictomy at work. The owners wanted to project an image of the Yukon that allow it can have elements of the extreme it is down to Earth wholesome and welcoming. The scent of this one has a great amount of complexity but remains only a subtle foundation. Expect roasted and toasted scents of coffee and bitters yet a refreshingly mild citrus element. It will begin heavy but smooth out very nicely. For those that appreciate something hoppy – but with drinkability – this is a great candidate. If you get a chance to taste one of the Yukon Brewing Company beers and fall in love I suggest you make a visit to the brewer. Besides getting to take advantage of all of the great outdoors activities up there you can rest and relax as the locals do, having a draught of Yukon Gold, the flagship beer. 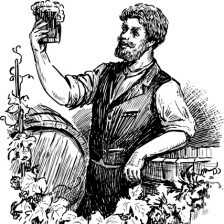 You may be a craft beer enthusiast who has acquired a wonderful connoisseurship, met people in the industry, developed an amazing palette and are ready to put some investment capital in your favourite pastime. Or you may be an everyday investor who is fully aware of the incredible growth craft beer has had in the last five years. Here’s your guide to investing in craft beer. The first option is the most boring but also the safest: buy stock in companies that produce beer. Sam Adams is the usual favorite here. The company’s official name is Boston Beer but it goes by the ticker symbol SAM. It’s a great stock that posts consistent earnings, has positive growth catalysts and is in a good position to acquire other brands in the future. 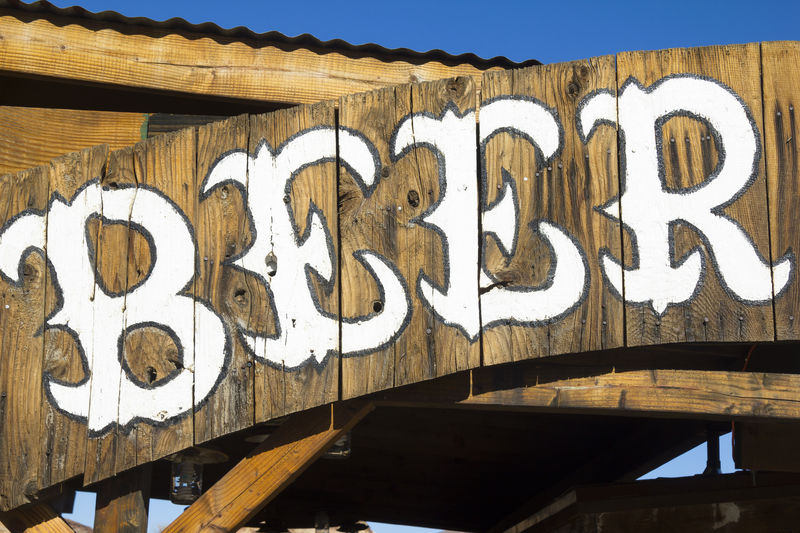 To hedge your bets and go for a more reliable but slower growing beer company you may have to leave craft beer altogether and focus on Anheuser-Busch InBev SA. The ticker symbol is easy enough to remember: BUD. It’s considered a blue chip stock, one that has been around for decades and des little exciting but continually pays its investors in wonderful quarterly cheques, known as dividends. The second option is to get involved at the ground level and help fund a microbrewery option, whether local or through a seed company. The drawback for this is that you are going to need a lot more money. Most beginning brewery businesses are going to have a lot of expensive equipment, primetime real estate, marketing in an already crowded environment and the labour expenses. 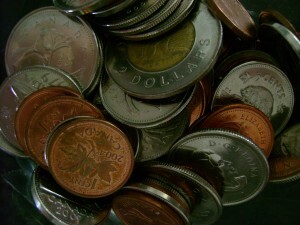 If a brewery is seeking funding through private investors expect to see minimum block investments of at least $10,000. The old saying, “the greater the risk, the greater the reward” is not necessarily true here. There are high risks here that can lead to failure or an abysmal static craft beer brand. Yours is an investment and there is often no insurance that you will get your money back. Building from that you could seek an investment opportunity in a craft brewery through an angel investor group, which will pool the money together of many investors so that that $10,000 minimum is significantly lessened. If things go well and the brand takes off you will see only a fraction of the success a full share might have realized. Furthermore you are also going to be paying fee for management and paperwork from the angel investors. Angel investors are available in most major cities across North America but they set themselves up like clubs. You will often have to know someone – like a local professional – in order to get in. The third option is to go all in and start your own microbrewery. Before you even get started on this and I remind you of the horrendous costs of starting one, ask yourself why? Are the awesome craft beers you’re drinking not enough? Is there something in the fine beer market that is missing? Before you act on the idea, sit down and really think about what you can bring to the table that isn’t already available. Starting a business, any business, does require discipline, some experience and definitely some capital. If you recognize a niche that is not being catered to or a market that is open for the taking explore it before jumping in head first. Perhaps you could start sharing your favourite homebrew amongst people besides your friends, attend trade shows, draw up a business plan and then see where that leads. 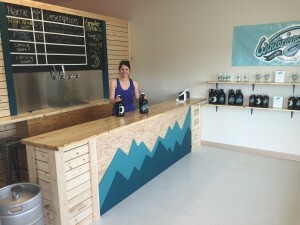 Alternatives do exist like Craftfund.com, which allows users who sign up to invest small amounts directly in local businesses, notably craft breweries. Unfortunately investing right now is limited to residents of Wisconsin. Check out Kickstarter.com too. Just know that it is very rare for someone who contributes to a campaign to get any equity (ownership in the company). Instead you are likely to see exclusive merchandise. Keep your eyes open as crowdfunding options for craft beer are growing. 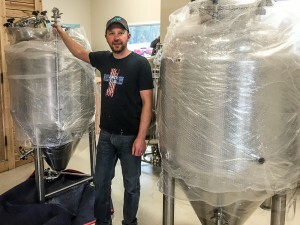 The following is an interview with Marko Marjanovic of a brand new microbrewery in the Yukon called Winterlong Brewing Company. He answered a few questions for me that give some great insight into how a brand new brewery works and what he did to invest in it. Scott (CraftBeer.ca): You just opened Winter Long Brewing Company this year in May. Explain to me how long it has been coming. Have you been sitting on brewing recipes and ideas for years? What motivated you to push forward in 2015? What’s the market like? Marko (Winterlong): In the summer of 2014, Meghan and I noticed the growing need for more craft beer in the Yukon. At parties and around the campfire, we kept seeing people who would normally drink light lagers, now holding double IPAs and imperial stouts. 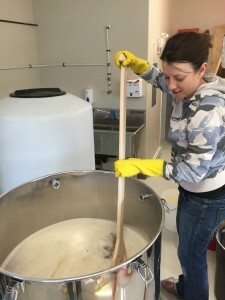 We had been home brewing for 8 years, so brewing wasn’t new to us, but starting a capital intensive business was. That September, we decided to go for it, and opened our doors at Winterlong Brewing Co. 9 months later, May 2015. Scott: I lived in a very northern community for several years and I understand the logistics of businesses operating above the 55th parallel. I imagine it is difficult to operate a business let alone a brewery that far up north. Explain some of the issues or difficulties in managing a craft brewery up there. Are the biggest issues related to the cost of shipping? Marko: Being so far north, shipping is the biggest issue. We’re 2500km away from Vancouver, which is the closest hub of most brewing supplies to us. But there are some advantages of operating a brewery in Whitehorse. We’re only 175km from Skagway, Alaska, which is a sea port, and so we can take advantage of receiving items by boat. Of course it still takes time, so we have to make sure we’re on top of things when ordering ingredients and supplies. Scott: Yukon Brewing Company has maintained a virtual monopoly on the craft beer market in the Yukon since 1997. Is there room for the two companies? What does Winterlong Brewing Co. offer that your competitor might not? 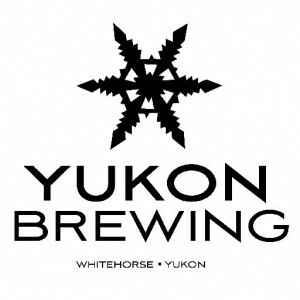 Will you be working together to bring awareness to craft brews of the Yukon? Marko: There is always room for more breweries in any city. Would you be satisfied if there was only one restaurant where you live? It really just depends on the size of each brewery and if they are willing to export or not. Multiple large breweries who don’t want to export would saturate the market very quickly, but at our current size, we’re more like a corner store than a supermarket. The fact that there is already a well-established microbrewery in the Yukon was a huge help to our success, as they’ve been helping raise craft beer awareness to Yukoners for years – introducing growlers early on and more recently special release bombers. In terms of our beer style, we’ve focused on more hop forward, west coast style beers, whereas, Yukon Brewing has a lot more malt forward, English style ales. Scott: I notice on your website you have four beers available locally on tap: High Noon Hef, Pingo Pale Ale, Weekend Warrior IPA, and Sweater Weather Stout. Besides the usual characteristics of these craft beers, how would you describe each and which are you selling the most of? Marko: We’ve been open for 3.5 months and have brewed close to 10 different beers, so the selection is often changing week to week. We have brewed some beers such as Pingo Pale Ale several times as it’s been popular with the regulars, but we are constantly trying out new styles as well. At our small scale, it is easy to try out new beers, and since we don’t bottle (yet), we aren’t restricted by having to design labels for each new beer. Our most popular beers so far were the Getting’ Tipsy Spruce Tip Ale and Reckless Abandon Double IPA, which we’ll be putting out again soon. Scott: You proudly display your Yukon Liquor Manufacturing license. Congratulations! Job well done! What’s the next step from brewing to bottling for Winterlong Brewing Co.? How long will it be before beer geeks can get their hands on your product? Marko: We just received two more fermenters, which will effectively double our brewing capacity. We also purchased a small bottling machine to dabble in the packaging world. However, we’re still hardly able to keep up to demand for filling growlers at our brewery, and we’re only open 12 hours per week. We will see how the winter goes, as we’re still only 3.5 months old! Scott: I imagine I’m not alone in that many of our readers are eager to go on a trip up to the Yukon and visit Whitehorse. Besides visiting your awesome brewery and sampling some great craft beers where should we visit? Any local secrets for great cuisine? What would you recommend that we can’t find in any travel brochure? Marko: The Yukon has some incredibly wild scenery. If you like the outdoors, a road trip or backpacking adventure is really the way to go. For the hikers, I run yukonhiking.ca, an online trail guide for the Yukon with over 60 different hiking routes across the territory. Otherwise a drive to Kluane National Park or Tombstone Territorial Park should be on your list. Of course, you’re going to want to stock up with Winterlong Brewing Co. beer before you start your adventure. Scott: Thanks for doing this. I really enjoyed your answers. If I could just add one short question, do you have any advice for potential microbrews? How would you advise someone who is eager to start investing in their own craft brewing company? Marko: Before we started Winterlong Brewing Co., we read over and over how whatever you think it might cost and however long you think it will take, double it. We thought we would play it smarter and that somehow those rules wouldn’t apply to us. Well, we were wrong – double it. We were also warned that if we made good beer we would outgrow a 3 BBL brewery quickly, and that we should perhaps save our money and start with a bigger system. After 2 weeks, we realized that was true. It can be tough to get a friend to try a craft beer because they are so used to what they already drink. Craft beers are often much more complex in flavour profile. Yet there are quite a few brands and brews that make great alternatives to the big brewing companies. Use this guide to look at what they already enjoy drinking and find a craft beer equivalent for them. Heineken – In this category you are looking for what’s known as euro lagers. Once you’ve tried a genuine one, imported from Amsterdam, Germany or Switzerland you are going to be shocked and heartbroken that you ever requested Heineken as your favourite beer. Stock rotates quickly on these imports at local stores and can vary dramatically from time-to-time. A great alternative to start with is Hofbrau from Munich. It’s a standard euro lager and will be a full step above anything you have ever tried in an American bar. Budweiser – If you are in Pennsylvania or Florida you may have found an alternative in Yuengling, truly America’s oldest lager. Sam Adams is also a great solid choice. But if you are looking for a craft beer instead you have a lot to choose from. Give Toronto’s most exciting pilsner, Steam Whistle a try. It has a simple ingredient profile that is all about quality and richness of flavour. Clean and crisp like Budweiser never was. Corona and Light Beers – Apparently Corona tastes better in Mexico because the beer doesn’t travel and the sunlight can’t destroy it through its clear bottles. Nevertheless, there are a ton of craft beer alternative to one of the top 5 brands in the world. Bohemia Clasica is a great alternative but be careful you may not return to your island retreat. If you’re looking for a North American alternative try looking for a craft beer described as a cream ale, blonde ale or a kolsch. They make a great transition. Molson or Labatt Blue– If you have affinity towards Canada or just appreciate the solid, no frills flavor of a Lager, try one of the many Canadian Craft Beers available. Muskoka is an award winning lager out of Ontario and sure to please many. If you want to try Canada’s most award winning craft beer nothing beats La Fin du Monde. It has that great combination of malt, fruit and spice and is a perfect alternative to the typical Canadian beers. Guinness – Few mainstream beer drinkers enjoy a strong stout like a Guinness. Even so there are many craft beers that will give great variety in this class of drinks. If you are already drinking such a strong beer why not take it a bit further? Give Java Stout a try made by Bell’s Brewery, one of America’s fastest growing micro brews. This beer takes the coffee flavour common to stouts and really enforces it by taking it to another level. Imagine your favourite black coffee, bitter, chocolate and rich, mixed with the Irish classic. Stouts are one of the most popular craft beers so you should have no trouble finding one at your local store. Blue Moon or Shock Top – Belgium white and wheat beers, great for hot days of summer are increasingly popular among young people but don’t make the mistake that these two giants are microbrews. If you are looking for a microbrew to compare check out Allagash White. It maintains that refreshing summer flavor but has such a more dramatic flavour profile. Blue Moon and Shock Top are great segway beers to get someone interested in microbrews. If you have success with Allagash introduce them to something like Oberon or Dogfish Head Namaste. They are great American craft beers. If you’re in Canada the best Belgium White is Blacnhe de Chambly by the infamous Quebec brewery Unibroue.